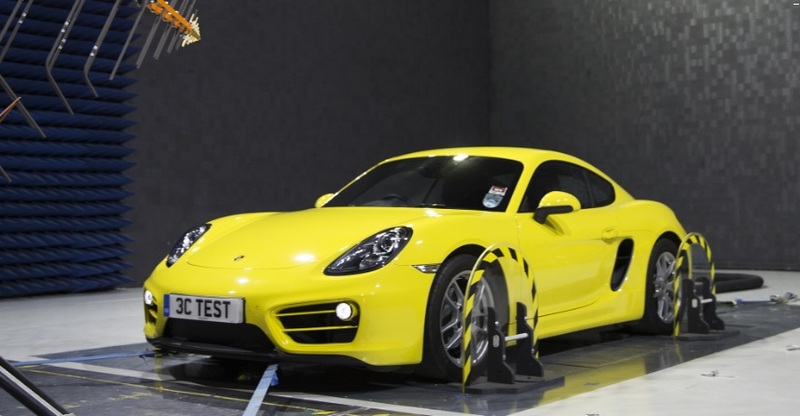 3C Test, among the biggest companies in terms of square feet at Silverstone Park, just got even bigger and it’s a timely expansion as latest technologies in the automotive market have placed extra demand on its expertise in product-testing electrical components from vehicle manufacturers. The company has been based inside its 12,000sq ft building at Silverstone Park for a decade and now has carried out work inside to make greater use of that space and increase capacity. “In short we’ve created another four test cells as part of expansion and given ourselves the opportunity to host conferences which we’ve never been able to do before. It’s also opened up space for us on the ground floor for us to create an internet-type café for customers,” explains Peter Sheppard, 3C Test’s Commercial and Operations Director. “We’ve seen good organic growth since 2006 and that has culminated in us having to make the next stage investment, which is a conversion of upstairs to include a fifth anechoic chamber (which absorbs radio waves)”. The nine-month project has culminated in an exciting new partnership with German company INNCO, among the world’s top manufacturer of dynamometers. And with good reason – as the automotive world steers towards a hybrid/all-electric future, so the regulations surrounding testing electrical components on vehicles have changed.